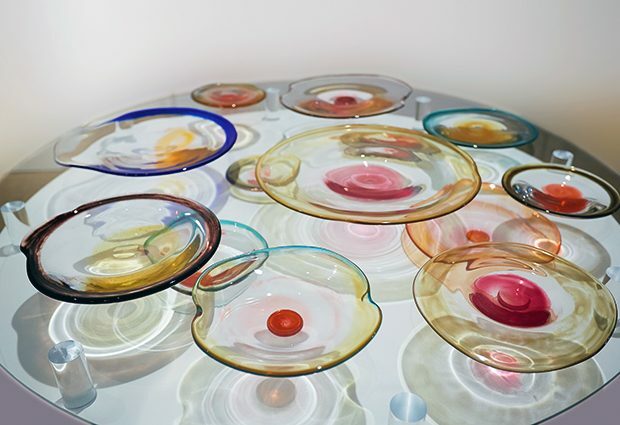 Robert Kesseler, who is University Chair of Arts Design and Science at Central Saint Martins, created a glass sculpture of floating coloured lens-like forms. 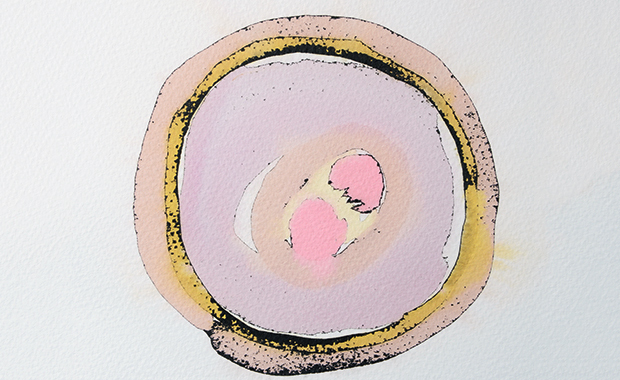 Featuring extraordinary work from four scientist-artist teams, the exhibition Lens on Life explores the fundamental mechanism of human life – mitosis. 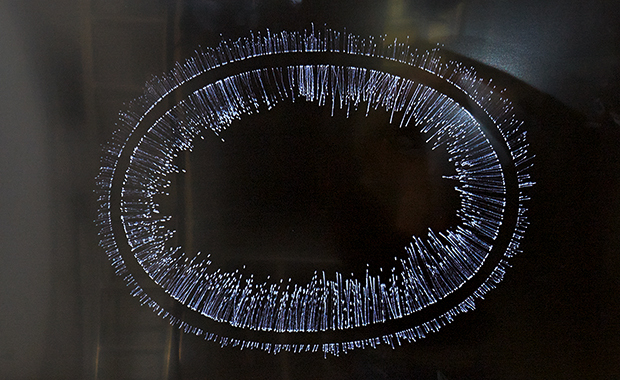 Currently on display at the University of Heidelberg Museum, the work includes collaboration between artist Robert Kesseler and EMBL alumna Melina Schuh, who did her PhD in Jan Ellenberg’s group at EMBL Heidelberg. The travelling exhibition was selected as part of the European FP7 project MitoSys – a large-scale systems biology project aimed at a comprehensive mathematical understanding of how genes and proteins orchestrate mitosis in living cells. ‘10 cells’ – a piece created by artists Heather Ackroyd and Dan Harvey in dialogue with scientist Jan-Michael Peters.